Dr. Alexander Franz and his team discovered how a virus moves within a mosquito’s body. 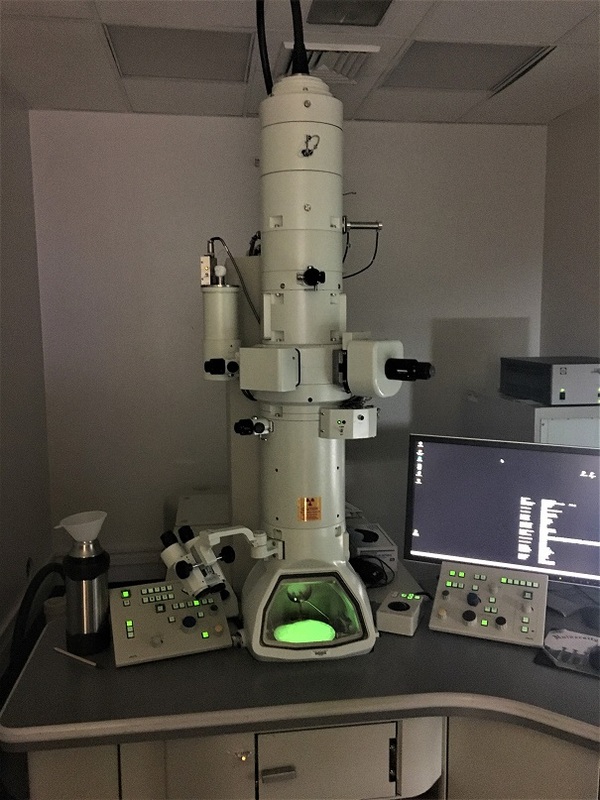 A focused ion beam electron microscope, pictured here, allowed researchers to see multiple layers of tissue inside a mosquito. 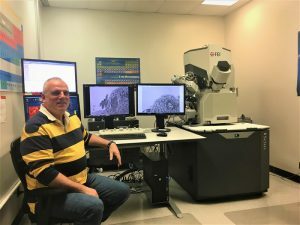 This electron microscope helped researchers see a two-dimensional view of a single layer of tissue in a mosquito’s stomach. The study, “Ultrastructural analysis of chikungunya virus dissemination from the midgut of the yellow fever mosquito, Aedes aegypti,” was published in Viruses. 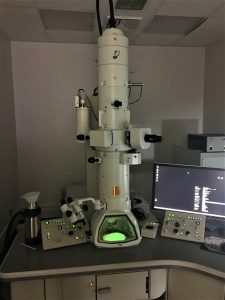 Funding was provided by grants from the National Institutes of Health-National Institute of Allergy and Infectious Diseases (R01AI091972 and R01AI134661), and the University of Missouri award for “Excellence in Electron Microscopy”. The content is solely the responsibility of the authors and does not necessarily represent the official views of the funding agencies. The study is part of the doctoral project of Asher Kantor, a graduate student in Franz’s lab. 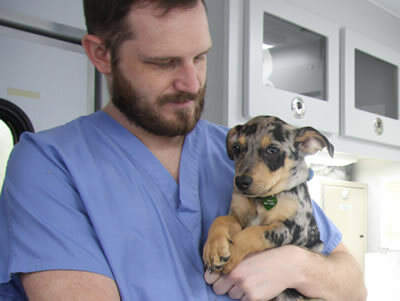 In addition to Kantor, Grant and Franz, the publication was co-written by Velmurugan Balaraman of the MU Department of Veterinary Pathobiology, along with Tommi White of the MU Department of Biochemistry and Electron Microscopy Core Facility at the University of Missouri.